After LeBron James exercised the early termination option in his contract this morning, it only took minutes for the second domino to fall. 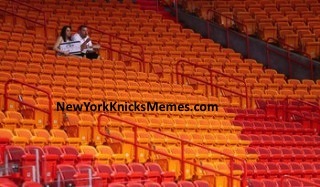 85% of Heat fans have terminated their contract with Miami, sources told New York Knicks Memes’ Tommy Rothman. 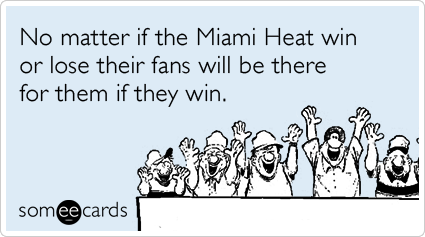 While Dwyane Wade and Chris Bosh have yet to decide what to do with their opt-out clauses, it appears most Heat fans are all about LeBron. It will be interesting to see how this situation plays out. There are many teams with open seats in their arenas who will eagerly be trying to clear out cap space for James… and his horde of followers. This entry was posted in Articles and tagged bandwagon heat fans, fake heat fans, heat bandwagoners, heat fans, heat fans memes, heat fans opt out, heat funny, heat memes, knicks funny, KNICKS MEMES, lebron bandwagon, lebron fans, lebron memes, nba funny, Tommy Rothman on June 24, 2014 by Tommy Rothman.